Lee Miller was already an accomplished model when she made her way to Paris in the 1930s, but her aim was to be behind the camera. A chance meeting with famed Surrealist photographer Man Ray set this plan in motion, and revealed that Miller’s artistic ability--and her ambition—rivaled that of her mentor (and eventual lover). 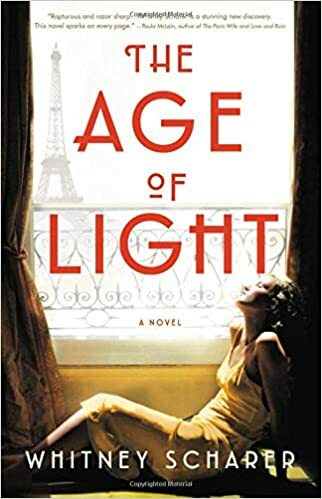 Whitney Scharer’s sumptuous debut novel, The Age of Light, captures their passionate, and complicated, relationship, and pays homage to the pluck, determination and profound talents of a woman sometimes relegated to a footnote in Man Ray’s history. Here, Scharer recounts how Lee Miller became her muse. One balmy day in the summer of 2011, when my daughter had just turned two years old, I strapped her into her stroller and went to see an art exhibit at the Peabody Essex Museum in Salem, Massachusetts. The exhibit was called Man Ray & Lee Miller: Partners in Surrealism, and, as a lifelong photography enthusiast, I knew I would love it. I was very familiar with Man Ray’s work, which I had seen in museums and discussed in my art history classes in college, but I had never heard of Lee Miller. As I pushed my daughter through the exhibit, I grew increasingly more surprised that Lee Miller was unknown to me, and that her name was not as famous as her teacher and paramour Man Ray’s. Lee Miller constantly reinvented herself, and her oeuvre is as varied as the roles she played throughout her life. In 1929, she abandoned a successful career as a model in New York City and moved to Paris, where she connected with Man Ray and became his apprentice, muse, and lover. Together, she and Man Ray discovered a photography technique called solarization, and working in his darkroom, Lee developed the Surrealist eye that would infuse all her work with its wit and sly humor. During the 1930s and 1940s, her fashion photography was on Vogue’s pages right next to fashion greats like Horst P. Horst and Cecil Beaton. And later in her life, she shape-shifted into one of the first female war correspondents during WWII. She was on the front lines during the Siege of Saint-Malo and was there for the opening of the concentration camps after the war. When Hitler fled Munich in 1945, she went to his apartment and staged a self portrait in his bathtub. Her photos are incredible: gruesome and intimate, and she herself is fascinating. She was a woman ahead of her time, who wanted to live like a man in a man’s world, and she was willing to do whatever it took to get what she wanted. I left the museum exhibit buzzing with excitement, knowing that Lee’s life would make an incredible novel. I bought a biography (Carolyn Burke’s excellent Lee Miller: A Life) and then spent the next two years reading everything I could find about Lee, Man Ray, Surrealism, and 1930s Paris. 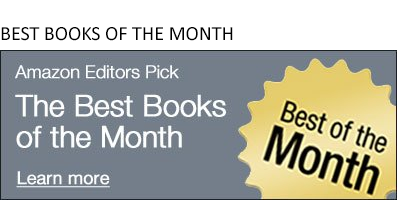 Perhaps it took me so long to start writing because there was so much to learn about Lee—or perhaps it was just the reality of my life at the time, as I juggled research with working a full-time job and parenting an active toddler. Whatever the reason, by the time I sat down to begin drafting what became The Age of Light, I felt like I had truly gotten to know Lee. She was a complicated woman, and though what drew me to her initially was her confidence and ambition, I found I was most intrigued by the fragility that lurked just beneath her self-assured, glamorous surface. She had been a muse for her entire life: first for her father, then for countless fashion photographers, and then, in Paris, for Man Ray. All of these objectifications left their mark on her, and I found I wanted to explore her attempt to carve out her own identity, separate from the one created by men. Her struggle resonated with me across the span of history—as relevant to women today as when Lee was living it.